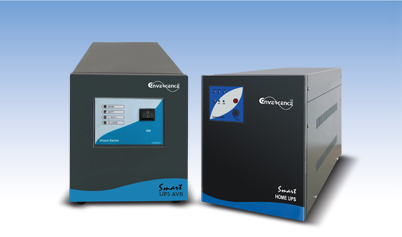 Convergence PBX Series Line Interactive UPS System offers voltage regulation and long lasting battery support for personal computers, networking equipment and other sensitive electronics. This UPS Range can support from 3 to 11 entry level PC systems for up to 2 hour during power failure. Automatic Voltage Regulation (AVR) circuits regulate brownouts as low as 145 volts back to normal 220V levels without using battery power. Offers complete desktop power protection in an attractive stealth cements Grey desktop configuration. Includes 5 A to , 15A Output Socket’s on various models. Built-in audible alarm and 6 front panel LEDs indicate line power status, battery power status, battery low/ and UPS output operation. This UPS series supports All PCs, Network Workstations, Point-of-Sale Equipment, Small Business Phone Systems, Audio/Video Equipment and HomeTheater Systems. All Type PCs, Networked Workstations, Point-of-Sale Equipment, Business Phone Systems, Audio/Video Equipment and Home Theater Systems. Ideal for sensitive electronic applications in areas where brownout conditions are common.